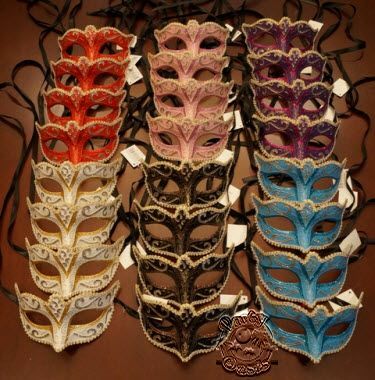 This bulk Masquerade party pack comes with 24 hand painted and glittered masks. Masks also come assorted colors and are made of a strong durable plastic. Mask colors are white, black, blue, purple, pink, and red. This is one of our most popular party packs but it certainly isn't the only one. Check out all of theMasquerade Masks Party Packs from PartyOasis.com!